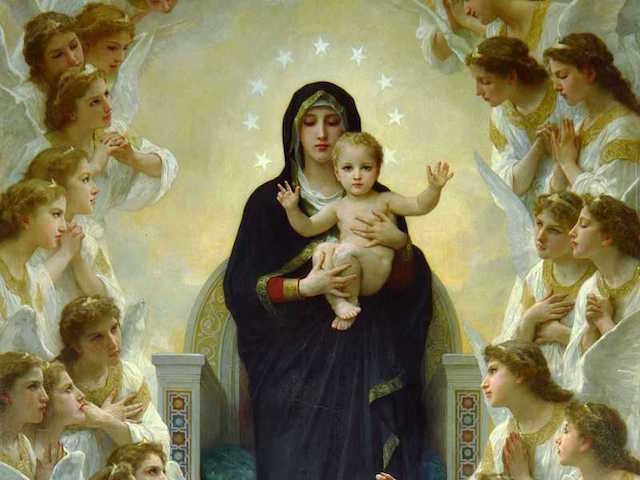 When was the Mother of God born? We can’t know for certain, of course, but for almost 15 centuries now, Catholics have celebrated the Virgin Mary’s birthday on September 8, the Feast of the Nativity of the Blessed Virgin Mary. If you are quick with math, you’ve probably already figured out that September 8 is exactly nine months after December 8—the feast of the Immaculate Conception of Mary. WHY DO WE CELEBRATE MARY’S BIRTH? Christians normally celebrate the day on which saints died, because that is when they entered into eternal life. And indeed, Catholics and Orthodox celebrate the end of Mary’s life in the Feast of the Assumption of the Blessed Virgin Mary (known as the Dormition of the Theotokos in the Eastern Catholic and Orthodox Churches). But we also celebrate three birthdays, and Mary’s is one of them. The other two are the births of Christ and Saint John the Baptist, and the common thread tying these feasts together is that all three—Mary, Jesus, and Saint John—were born without Original Sin. In earlier centuries, the Nativity of the Blessed Virgin Mary was celebrated with greater fanfare; today, however, most Catholics probably don’t even realize that the Church has a special feast day set aside to celebrate it. But, like the Immaculate Conception, the Nativity of the Blessed Virgin Mary is an important date in our salvation history. Christ needed a mother, and Mary’s conception and birth, therefore, are events without which Christ’s own birth would have been impossible. It’s no surprise, then, that the Christians of the second century A.D. recorded the details of Mary’s birth in such documents as the Protoevangelium of James and the Gospel of the Nativity of Mary. While neither document bears the authority of Scripture, they provide us with everything that we know about the life of Mary before the Annunciation, including the names of Saint Mary’s parents, Saint Joachim and Saint Anna (or Anne). It’s a good example of Tradition, which complements (while never contradicting) Scripture.